Buildings and Smart Homes should be a key component in the electricity energy system, using website platforms and apps, which allow monitoring energy consumption of different devices into the Smart home and providing the customers information about how much energy they are using in real-time, from anywhere, this will facilitate, demand-response mechanism, to reduce peak demand and enhanced flexibility in electricity distribution grids, providing substantial benefits to all stakeholders. SAREF is a new standard for smart appliances in smart homes, which allows exchanging energy related information interacting with every other Energy Management System. 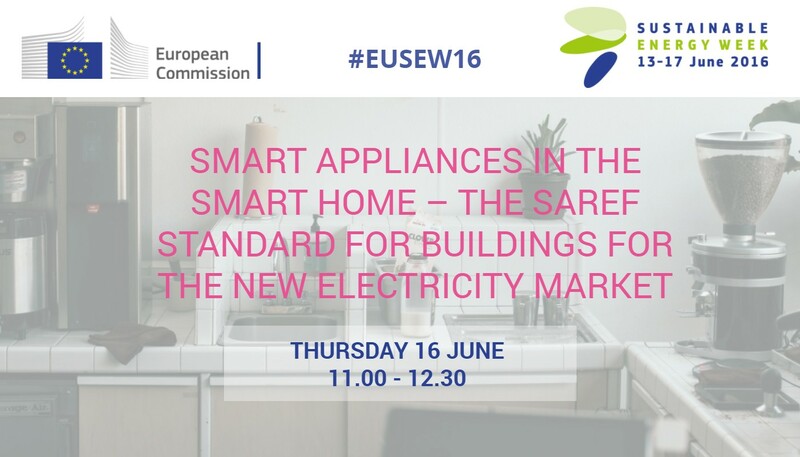 The aim of this Seminar is to disseminate how smart appliances using a shared model of consensus, SAREF (Smart Appliances REFerence), and dedicated software applications may contribute to promoting more sustainable energy use in households and neighbourhoods. How smart appliances using a shared model of consensus, such as SAREF, may contribute to promote interoperable energy solutions. SAREF as a new standard for smart appliances in the Smart Homes, allows through sensors and actuators interacting with software applications and provide services to manage these devices efficiently. The SAREF ontology allows a wide scope of basic functions that can be additionally combined in order to deliver more complex functions. Topic: SAREF a new standard for smart appliances in smart homes. Topic: Smart appliances in connected and interoperable framework. Smart homes can effortlessly manage multiple devices and systems such as heating, air conditioning, lighting, etc. from mobile applications. This requires smart appliances to operate in a connected and interoperable framework. SAREF’s role in the smart appliances domain. SAREF role in NOBEL GRID Project. The need to extend SAREF and SAREF´s role to ensure compatible data formats. How In smart homes users receive information from smart meters about consumption and / or energy production, through friendly interfaces applications, available from smartphones, websites or tablets, etc. allowingthe customers to access their consumption data, increasing their awareness about their energy consumption habits and how they can be improved, taking advantage of the benefits offered by Flexible Energy Demand and dynamic pricing opportunities on the electricity market. How SAREF as a standard ontology model, could be extended to offer a holistic solution for data flow and access for Home Energy Management. Speakers: Willem Strabbing, Managing Director ESMIG European Smart Metering Industry Group and Patrick Caiger Smith, CEO of Green Energy Options in the UK. Pre-registration for EUSEW 2016 is now closed. You can still register onsite (14/15/16 June) at both venues, Charlemagne & Residence Palace.